I feel really guilty about this project dying. 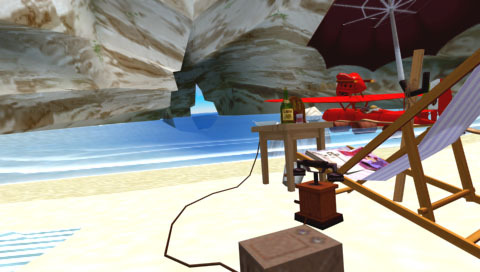 Owen produced some of the best low polygon artwork that I've ever seen, and it was a perfect genre for the DS. Unfortunately, it was just too ambitious for two people to manage. We needed a second programmer, I couldn't find a volunteer, and we couldn't take donations to pay anyone because we were using Studio Ghibli's intellectual property. After the initial successes I got bogged down creating the tools required for collision detection and level export, Owen was producing artwork that required features my homemade importer couldn't handle, and eventually we both ended up at new jobs with heavy time commitments. Oh well, "A pig that doesn't fly is just a pig." In 2006 I had burned out on my game programming job and moved on to the relatively sedate world of educational software. I was spending a lot of time in the Nintendo DS homebrew community and thought it would be fun to find a project to work on (although my previous company did lots of handheld work I personally worked on Mac/Windows, so it was a nice change of pace.) 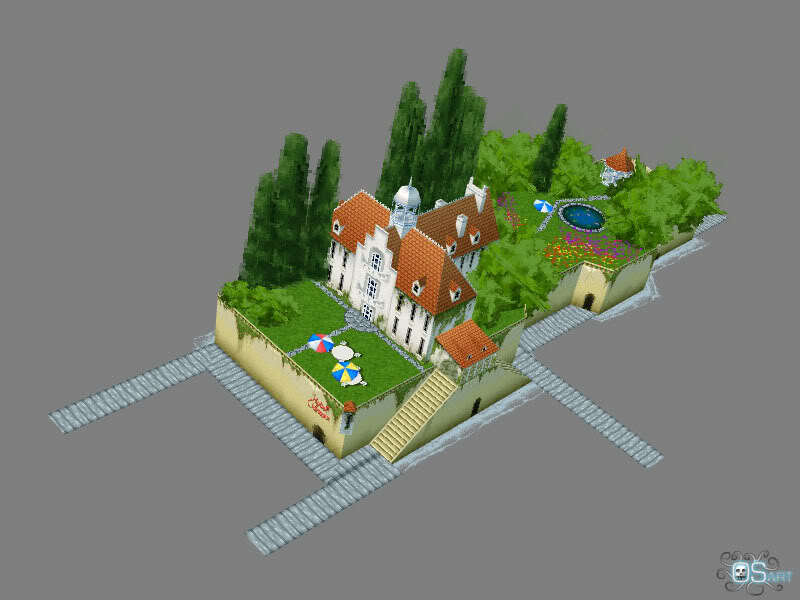 I came across an amazing low polygon image of the hideout from one of my favorite movies, Porco Rosso that had been posted to an art forum. 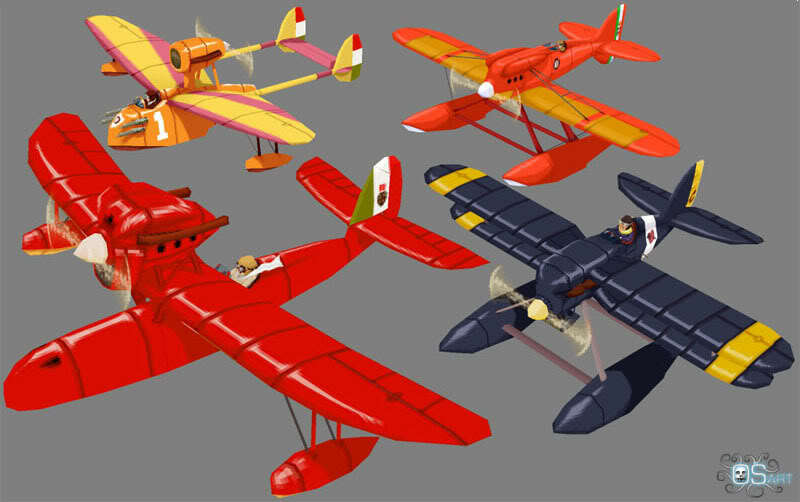 I contacted the artist, Owen Shepherd, and we agreed to work together on a Porco Rosso flight simulator and dogfighting game for the DS. A collection of the available planes, at the highest level of detail. 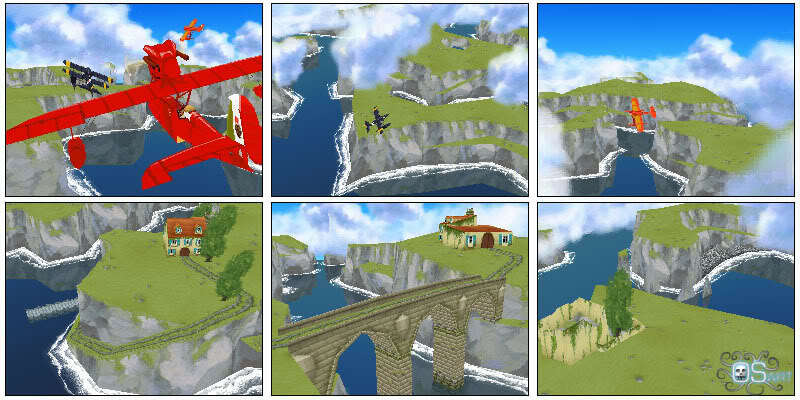 Renderings at DS resolution of gameplay. These have better anti-aliasing and cloud rendering than I ever managed on the actual DS hardware.